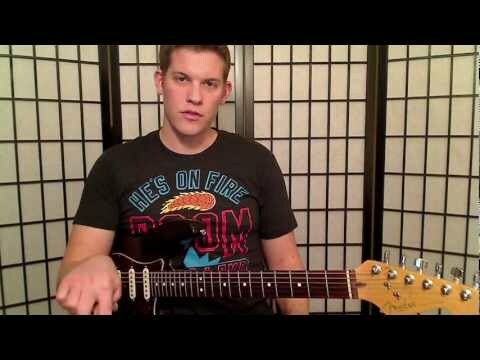 The “Mother of All Major Scale Exercises” series gets even tougher with Part 3. (Check out Part 1 and Part 2 first.) This new iteration of the exercise takes the zig-zagging up and down the fretboard from Part 1 and runs it through the Cycle of Fourths with every position shift. As I explain in the embedded video above, completing this entire workout involves traveling all the way up and all the way down the fretboard 12 times. Recall that Part 1 required the same amount of work, putting your fingers through every major scale in every position on the fretboard. While Part 1 allowed you to focus on one key at a time, Part 3 now forces you to shift keys, up a perfect fourth, every time you shift positions. This really keeps your mind on its toes. No more auto-pilot for a while. To demonstrate today’s exercise, I tabbed out the first two up/down traversals of the fretboard. The first time you start your ascent, C major will be your starting position. The second time, F major. The third time, Bb major, and so on. Your final round up and down the fretboard will start with G major at frets 2-5, roots on strings 1, 4, 6. Click the image for a printable PDF!